The National Bureau of Statistics (NBS) has revealed that the Gross Domestic Product (GDP) of Nigeria in the second quarter of 2018 grew by 1.50 percent year-on-year. 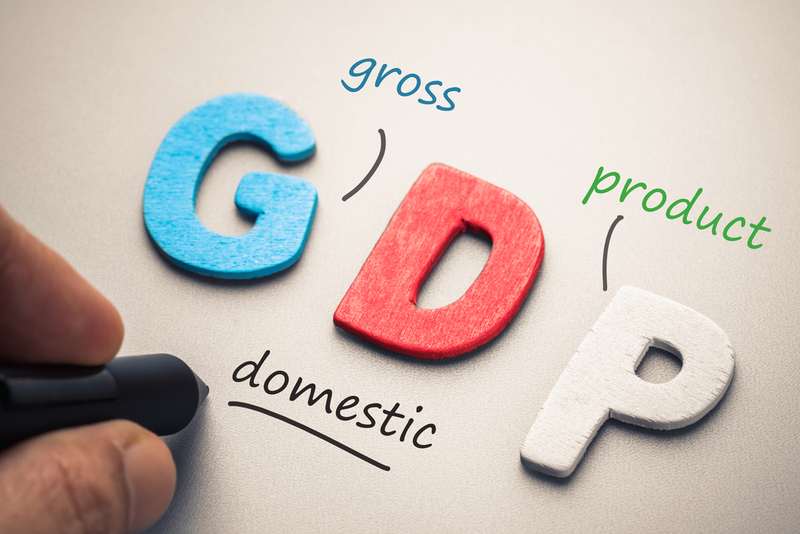 The stats office, which released the GDP figures on Monday morning, disclosed that the growth in Q2 2018 was 0.79 percent points higher than the same period of 2017, which recorded a growth of 0.72 percent, but –0.45 percent points slower than 1.95 percent recorded in the first quarter of 2018. However, it said on a quarter-on-quarter basis, real GDP growth was 2.94 percent. The NBS said in its report today that the 1.50 percent growth the GDP recorded in Q2 2018 real terms was to N16.58 trillion. But in the quarter under review, aggregate GDP stood at N30.69 trillion in nominal terms. This represents a 7.85 percent increase in nominal GDP when compared to the preceding quarter (N28.46 trillion) and 13.57 percent increase when compared to the corresponding quarter of 2017 (N27.03 trillion). For better clarity, the Nigerian economy can be classified broadly into the oil and non-oil sectors. Broadly speaking, growth in Q2 2018 was driven by developments in the non-oil sector as Services sector recorded its strongest positive growth since 2016. However, the relatively slower growth when compared to Q1 2018 and Q2 2017 could be attributed to developments in both the oil and non-oil sectors. In the second quarter of 2018, average daily oil production was recorded at 1.84million barrels per day (mbpd), lower than the daily average production of 1.87mbpd recorded in the same quarter of 2017 by -0.03mbpd and also lower than the production volume of 2.0mbpd seen in the first quarter of 2018. Real growth of the oil sector was –3.95 percent (year-on-year) in Q2 2018 indicating a decrease by –7.48 percent points relative to the rate recorded in the corresponding quarter of 2017. Growth also decreased by –18.72 percent points when compared to Q1 2018. Quarter-on-Quarter, the oil sector recorded a growth rate of –8.34 percent in Q2 2018. The Oil sector contributed 8.55 percent to total real GDP in Q2 2018, down from figures recorded in the corresponding period of 2017 and the preceding quarter, where it contributed 9.04 percent and 9.61 percent respectively. The developments in the oil sector occurred at the same time as crude oil price (Brent) has maintained steady rise from $65.32 per barrel in January, reaching $76.98 in May, before falling slightly to $74.4 per barrel in June. However, the non-oil sector grew by 2.05 percent in real terms during the reference quarter. This represents 1.60 percent points increase compared to the rate recorded for the same quarter in 2017, and 1.29 percent points over the first quarter of 2018. The non-oil sector was mainly driven by Information and communication services. Other notable drivers included Construction, Agriculture, Transportation and Storage and Other Services. In real terms, the Non-Oil sector contributed 91.45 percent to the nation’s GDP, compared to 90.96 percent recorded in Q2 2017 and 90.39 percent recorded in the preceding quarter.